In this post I would like to mention a known issue related to the Mexican electronic invoice (CFDI) in Dynamics AX 2012. 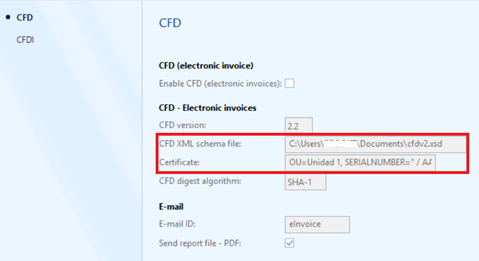 If you have followed all the configuration steps detailed here, have valid certificates, and still see the error message “unable to find the digital certificate” when posting an invoice, you should make sure to have a valid schema file and a valid certificate set up for CFD, even if you are using CFDI, and CFD is disabled. To be able to edit these values you will have to disable CFDI, enable CFD, make the changes, disable CFD and enable CFDI again. This issue is fixed in the new version of Dynamics AX. With the help of Felix Vazquez.